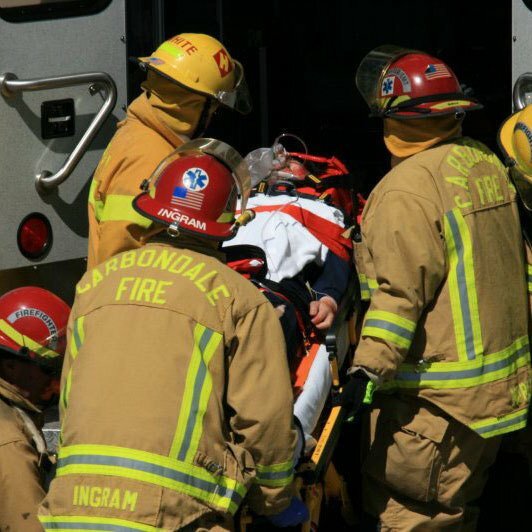 Carbondale Fire is your local emergency responder resource for everything from fires to medical emergencies to backcountry rescues, automobile accidents to swift water rescues to avalanche initial response and emergency spill containment. All of our staff Firefighters are certified by the State of Colorado and are Emergency Medical Technicians (EMTs). Additionally, most of our volunteer Firefighters are EMT certified as well. During any given shift on any given day, there are at least two Firefighters on duty who are also certified as Paramedics and many of Carbondale Fire’s staff and volunteer Firefighters are also certified in hazardous materials response, swift water rescue and more. Next time you see an ambulance whiz by in route to an emergency, remember to thank your local fire department for operating as your fire, rescue and medical emergency service team.